If you have been following me for a while (particularly on Instagram), you will know that I love routine. I love the predictability of it, I like knowing what needs to be done next, it cuts down stress significantly for me and therefore – the children, and on a routine, I am efficient. I mean really efficient. So when I saw a task board of sorts for children at Costco, it got me thinking. If I create a routine for the children, could it be as good for them as it is for me? I mean, we’re in a routine – we do more or less the same things day to day but sometimes it’s in the wrong order or I’ve got to repeat myself about 27 times before it gets done (I hate repeating myself. Like, loathe it). I wanted something that they could see every day and be accountable for. 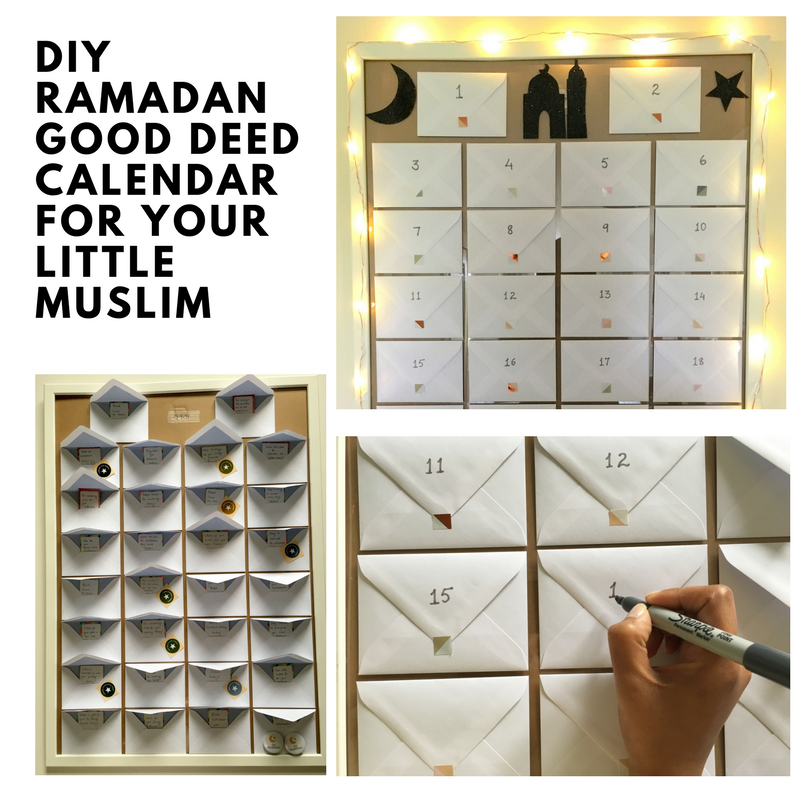 I decided to use the board left over from my Ramadan good deed calendar – which worked brilliantly. I worked with an illustrator to come up with the card designs and then once I had everything printed and laminated, I set to work putting our routine board together. Initially, I wanted to use magnets on the board (like the one I had seen at Costco), but the magnetic tape I bought (from Poundland!) and the magnets from Tesco (for 85p!) just didn’t work. I knew I’d just be picking up falling magnets constantly and that it would annoy the kids too. So I improvised whilst making it and used the velcro dots on the back of the magnets too. Do your children like it? The kids absolutely love it. I’ve spotted my son more than once, going to their room and checking the board to see that he has done everything that he needs to. This isn’t a reward system because I personally don’t think they need to be rewarded for things like cleaning up after themselves and brushing their teeth and putting things away. I like the ‘What are we doing today?’ section because my son often asks me that in the morning – he wants to know what we’re doing next all the time. This way they all know what the plan for the day is and I feel like it will also hold me to account because if I’ve put ‘Playground’ on there, for instance, I need to ensure I take them to it. If I say we’re doing arts and crafts, you can be sure that will be pointed out and I will be reminded that it’s part of our plan for the day. It works for everyone really! 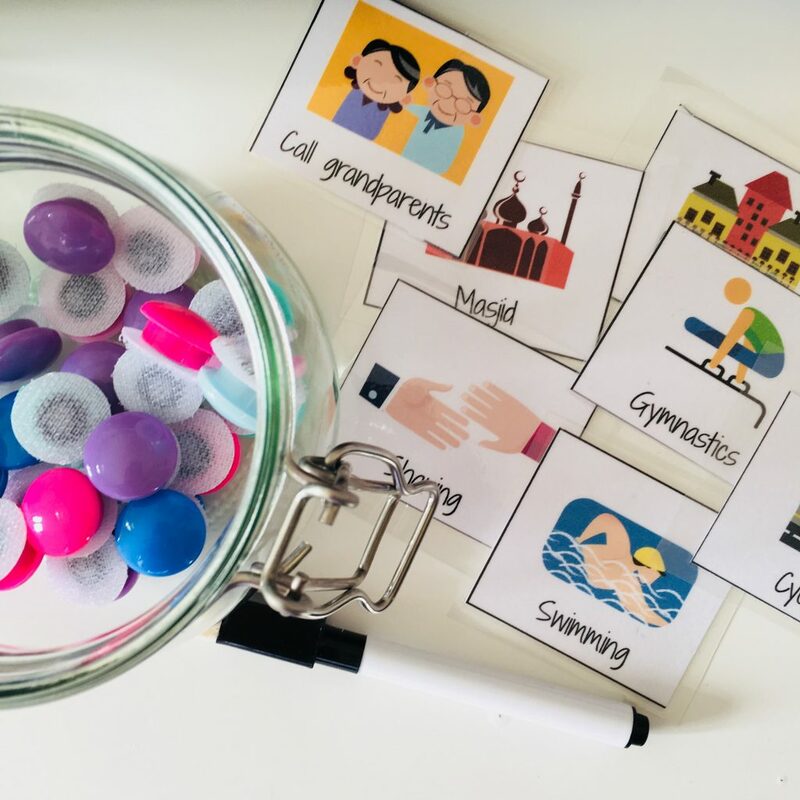 I’ve tried to include everything that I thought would be most common, but I know a routine board will look differently for different families, so there are 14 blank cards that you can use to write whatever you want on them. 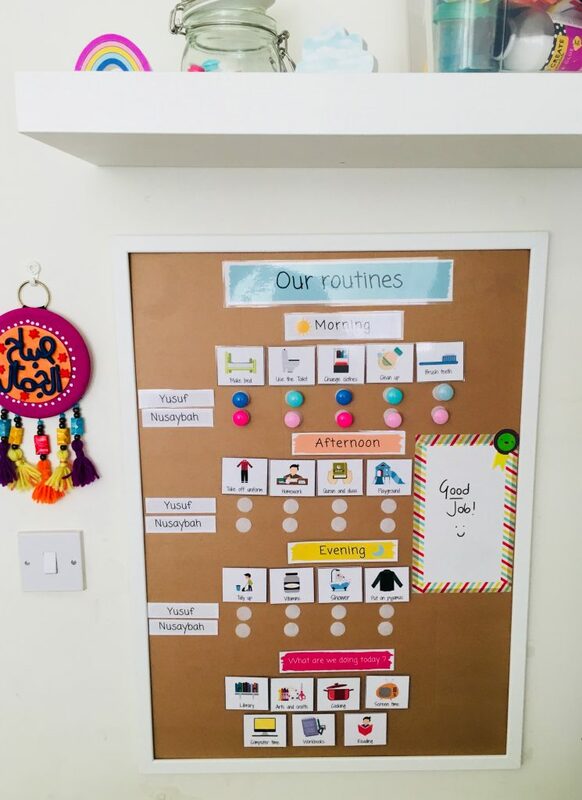 The cards have everything from daily essentials like; shower, brush teeth, make bed, vitamins, etc, to activities like football, swimming, gymnastics, and places like madrasah, masjid, visiting a friend /relative, and so on. The listing below has a full list of what’s on each card. 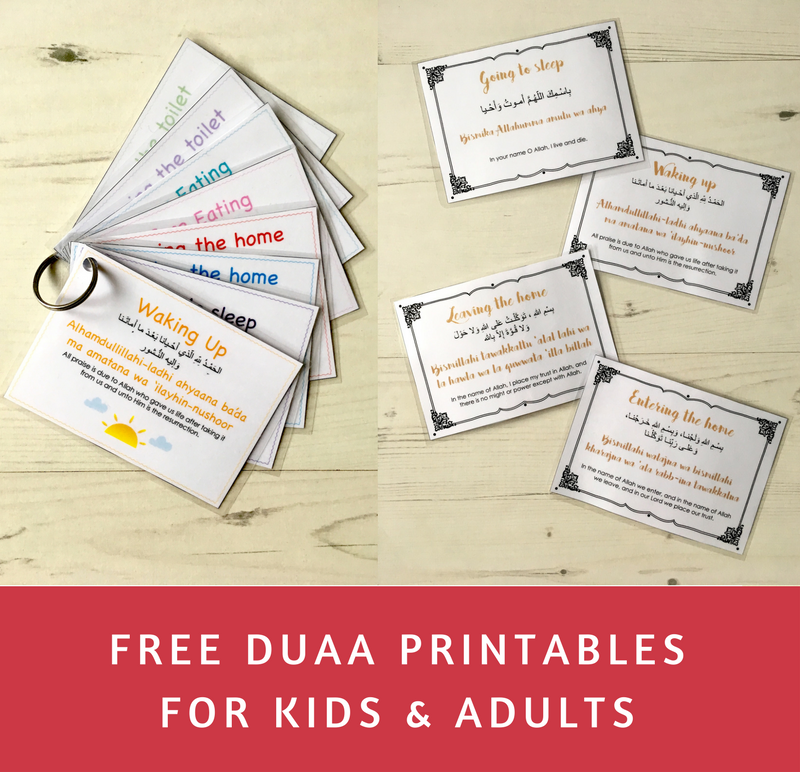 Make bed, Quran and duaa, Homework, Brush teeth, Change clothes, Clean up, Take off uniform, Swimming, Screen time, Visiting friends/relatives, Errands, Vitamins, Cycling, Tidy up, Put on pyjamas, Library, Gymnastics, Playground, Reading, Cooking, Sharing, Shower, Use the toilet, Madrasah, Football, Computer time, Workbooks, Call grandparents, Arts and crafts, Masjid, Going on a trip, and 14 other blank cards so you can add in what you like! This is a digital product that will be emailed to you after purchase. You will then be able to download your file. The digital files are offered in A4 and US Letter sizes – please choose the size that is compatible with your printer. You may download this content for your personal use but I ask that you do not resell this or claim it as your own. If you would like to share it with others, please refer them to this shop. I have deliberately kept costs very low so that this is affordable for most people. I appreciate your cooperation in this regard. All sales of PDF files are final – no refunds will be given once they have been emailed to you. 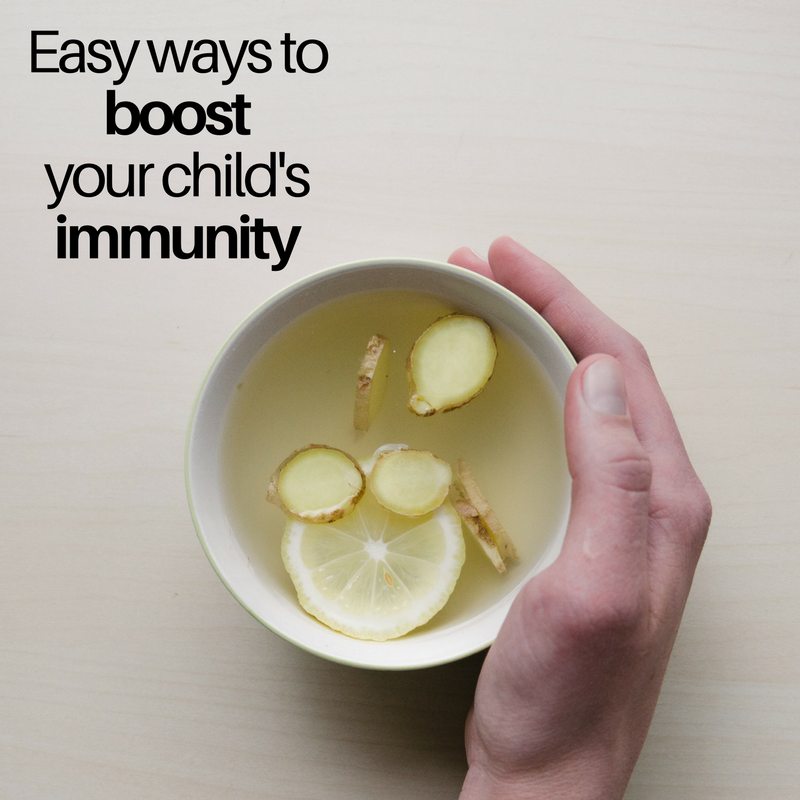 I hope this is beneficial for you and your families! If you try this, I’d love to see it/ hear about it. Please tag me on Instagram/ Facebook or send me an email to let me know how it’s going! Thank you so much for this. I have been thinking of setting something similar up for my son. Like you we are in a routine (during the week anyway!) But I am constantly repeating myself. Thank you again! Ps. Being a teacher, I know how long it takes to make resources so I am more than happy to pay for it – you have done a fab job! Thank you Naheeda I really appreciate this! I really hope it benefits your family. Waleykum Salaam Muna 🙂 they are emailed out individually – you should have received them already inshaAllah. Please is there a comprehensive list of supplies needed to make the board. I know you used Velcro dots instead of magnetic strips. What else? Does it have breakfast, lunch, snack and dinner cards?